The handsome actor Song Joong Ki recently revealed the secret for his beautiful skin, attracting the attention. The SBS TV’s “Midnight TV Entertainment” aired on the October 19th, 2011, Song Joong Ki who played the role of young King Sejong in Deep Rooted Tree that received favorable reviews was interviewed. 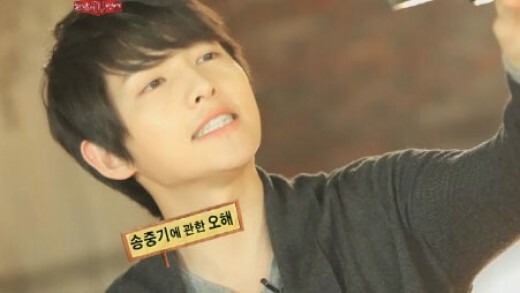 Photos of Song Joong Ki when young were also released and his thoughts of being actor were also talked about during show.